Kitchen Cabinet Discounts will be glad to process your order by credit card with our shopping cart technology through Paypal. Or, you can pay by money order or cashier's check, if you would prefer. We do, however, encourage you to first order a sample of our maple, oak, bamboo, or birch RTA kitchen cabinets to study the color of the stains, finishes, and glazes, and the quality of our wood, if you have not already done so, especially since colors on computer screens can vary so much. Some people ask if they can return their samples if they do not like them. 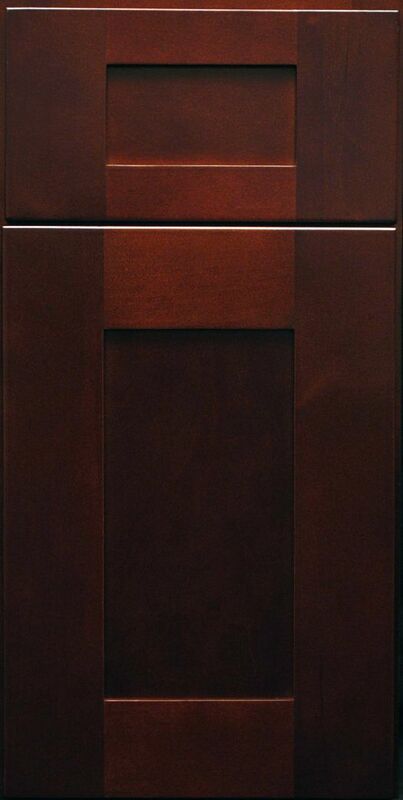 Our ready-to-assemble cabinetry is sold at a vast discount from its retail price. 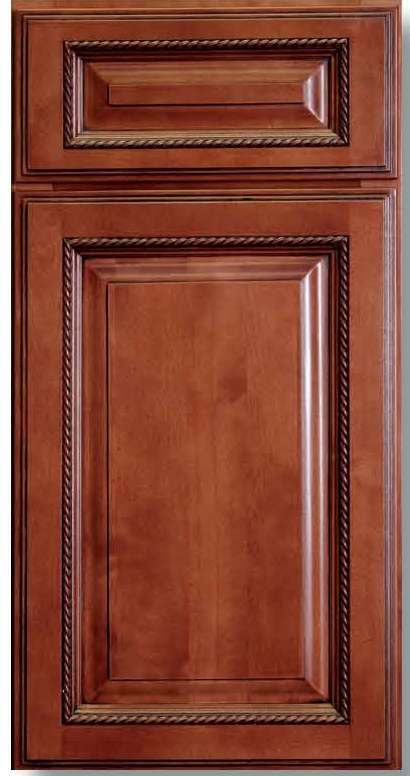 Because the cost of our samples, packing supplies, and time we spend shipping them to PROSPECTIVE customers who do not buy from us are NOT expenses we want to pass along to our ACTUAL customers, we offer a refund on ordered samples ONLY to those purchasing at least $1,500 worth of cabinetry from Kitchen Cabinet Discounts. 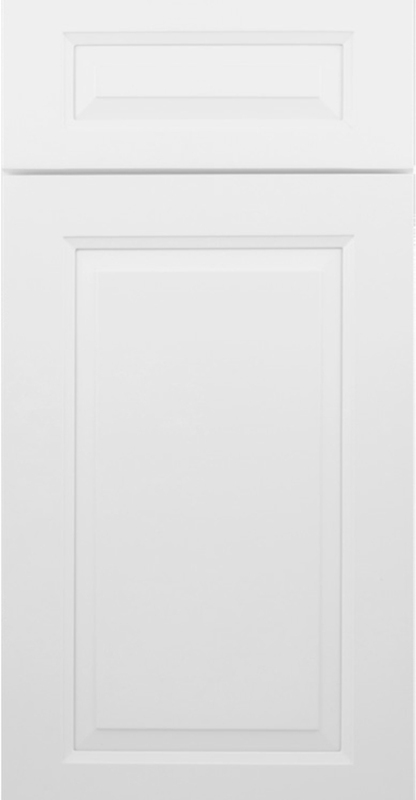 ORDER RTA SAMPLES OF DOORS HERE - $40 EACH - PRICE INCLUDES SHIPPING ANYWHERE IN THE CONTINENTAL U.S.
Plus, we will refund that full $40 to you if you purchase just $1,500 worth of cabinetry from us within 30 days of receiving your sample. CLICK ON ANY DOOR BELOW FOR DETAILS, OR TO ORDER A SAMPLE. 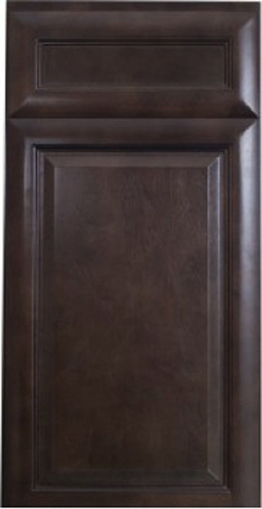 Ordering online at Kitchen Cabinet Discounts, LLC is easy. Our secure servers will protect your information through the ordering process since we use advanced encryption and firewall technology. Our web site protects the security of personal information transmitted to us by using Secure Sockets Layer (SSL) software, which encrypts the information you input during the transmission to us by using a unique session key. These layers of privacy protection ensure that information cannot be viewed, even if intercepted by unauthorized parties. PLEASE NOTE: You can reach us by e-mail at CabinetDiscounts@me.com regarding inquiries, but e-mail is NOT encrypted. E-mail is NOT a safe and secure way to transmit credit numbers or other confidential information. If, for any reason, you prefer to order by phone, rather than using our Secure Sockets Layer Credit Card method, please call 866-916-1570, and we will be happy to assist you. Kitchen Cabinet Discounts will automatically charge and withhold the applicable sales tax for orders delivered to an address in the state of Pennsylvania, unless your firm submits a state sales tax exemption certificate. If your credit card billing address is in the state of Pennsylvania, and your “ship to” address is not, you will not be charged sales tax. A 6% sales tax is automatically calculated on the value of the products as required by Pennsylvania State law. An additional 1% sales tax is charged on products billed to addresses in Allegheny County and 2% sales tax is charged to Philadelphia County in Pennsylvania as required by law. Our unassembled RTA kitchen cabinets and RTA vanities are shipped in flat cartons on pallets directly to your home or business. Shipping costs are calculated automatically at Less-Than-Truckload or parcel carrier freight rates based upon the size and number of pallets used, the weight of your shipment, if a liftgate is needed, whether delivery is to a residence or a business with a forklift or loading dock, and your destination zip code. On average, our RTA cabinets and RTA vanities ship within two days from the time we are able to complete address verification and payment process. Transit time can take an additional 1-8 days, depending upon your location. If you intend to start assembling your cabinets on a particular date, you may want to build in a few extra days when you order your cabinets, to allow for contingencies. Cabinets are like fine furniture. Be sure to store your cabinets in a dry, protected area, safe from temperature extremes and humid conditions. Our designer vanities generally cost more to ship than our RTA vanities, as their cabinetry is already assembled, and they come complete with a granite top and sink bowl. Many designer vanities are in-stock; some have to be ordered. Our Ready to Assemble cabinets come thoroughly wrapped in cardboard cartons, and then are encased in shrink wrap when set on pallets. The boxes are inspected before they leave our warehouse, but please recognize that shipping cartons do occasionally sustain a little damage during transit. Check the Order List - While the driver is still there, compare your order list to the items that arrive, to make sure each size and style is correct. Any incorrect or missing items claims will NOT be honored once a delivery is signed for. If any items appear to be damaged, please note this on the driver's delivery ticket and notify us immediately. (Your signature on the delivery slip is acknowledgement that the order has been received complete and is in good condition). a. Our Error - Our staff makes every attempt to send correct items. Should you discover that we have shipped you the wrong size or style in error, please contact us within 48 hours at 866-916-1570, and we will send the right item to you as soon as possible. If this occurs, you will have to send the door/item back so we can monitor quality control. b. Your Error - If you ordered a wrong size RTA cabinet, or a style or color or RTA cabinet that you decide you do not like, although we will be glad to replace it, all returned RTA items are subject to an inspection to be sure they are returned in unused condition, as well as a 25% restocking fee and delivery charges for the new one. Returns must be received by the warehouse within 30 days from delivery, and are accepted for credit only. To avoid this problem, please order a sample before buying, and double check your measurements before placing your order. NOTE: Assembled, modified, or special order cabinets cannot be returned. Record Damages: If you notice any visible damage to any box, such as a hole or a tear, or if you see that the shrink wrap has been punctured or removed, be sure to record those damages on the driver’s delivery receipt before the driver leaves. If the merchandise (NOT the shipping carton) is damaged, please refuse the delivery of that particular item only, (DO NOT REFUSE THE WHOLE SHIPMENT) and make a notation describing the damage on the delivery manifest receipt. If a box is questionable, mark the packing slip, “I accept with the possibility of damage." 5) Photographs documenting the damage. Damaged items and their packaging must be kept for 9 months for possible inspection by the freight company. All of our cabinets and vanities are warranted by their manufacturers to be free of avoidable and unnatural defects in material and workmanship under normal use (proof of purchase required) for the following periods from the date of purchase, or as long as the original purchasing consumer owns the home, whichever is less: FIVE YEARS on Walnut Creek, Imperial Birch, Napa Valley Bordeaux, Light Shaker, and Better Builder Grade (BBG Cinnamon, BBG Chocolate Cherry, and BBG Expresso) cabinets, Country Oak supplied by the Northern warehouse; TWO YEARS for the following painted cabinets from the NORTHERN warehouse: Pearl Creek, Uptown White, Downtown Black, Beveled White, and Beveled Black The following items from the SOUTHERN warehouse are warrantied for ONE YEAR: Chestnut Pillow, Spice Maple, Mocha Chocolate Shaker, Yorktown Patriot and Classic White Shaker. The warranty does NOT cover wear and tear of products that have been misused, mishandled, abused, improperly stored or installed, modified, or subject to excess moisture or extreme temperatures. The product must be used exclusively for intended residential purpose and not for commercial purposes in order to be covered by the warranty. The limited warranty is non-transferrable and applies to domestic use only. Some replacement parts are subject to availability, and may differ from those originally supplied. The warranty does not include or cover the cost of installation, removal, subsequent damage, or transportation of the defective product, regardless of whether work was performed by a contractor, service company, or homeowner. 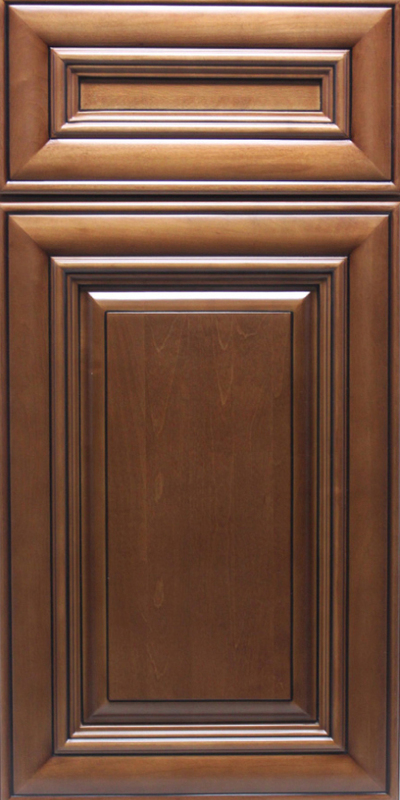 Our manufacturers' cabinetry is constructed from several pieces of solid wood and wood veneers on plywood. Differences in grain pattern and color should be expected. Color differences in wood are the result of variations in minerals found in the soil native to the tree's origin. Absorption of these minerals will vary by tree or parts of those trees. In addition, color changes can be experienced from exposure to light. All species of wood will display characteristics such as knots, pinholes, sap runs, mineral streaks, and darkening with age. 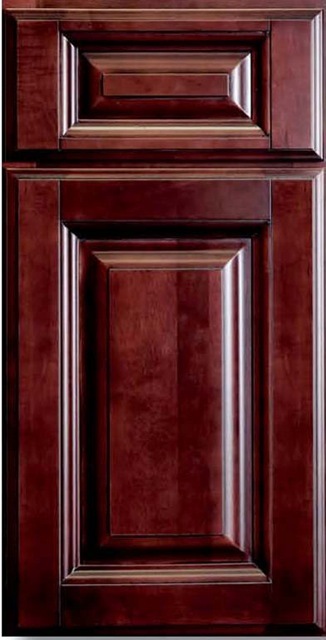 It is the natural beauty of wood to exhibit these characteristics, and they will be present throughout your cabinetry. If a manufacturing defect does occur within the terms and conditions of this warranty, the manufacturer will replace the defective part and ship it to you at their cost via Fed Ex ground or freight carrier, at their discretion. They will be happy to accomodate you if you would like your replacement shipped some other way, such as Fed Ex overnight. You, however, will be responsible for the difference in shipping costs. Please do not send the defective item back unless and until the item is expressly requested by our claims department. * Manufacturers warranties are subject to change without notice. Print order form, complete with your contact information, then review SPECS sheet (under Specs & Price List on menu) and record product item numbers, quantity desired, and price of each item. Fax your order to 866-917-5066 or E-mail as attachment to Order@KitchenCabinetDiscounts.com. A price list verifying all costs and shipping will be returned to you, and you will be contacted regarding payment preference. We accept Paypal, VISA, MasterCard, American Express, cashier's check, and money orders. After the agreement is signed and returned to us, we will prepare an order confirmation, process it, and your order will be ready to ship within approximately 48 - 72 hours of the time your address is verified and your payment has cleared. An estimated time of arrival will be provided. Click HERE to see How to Assemble RTA Cabinets. 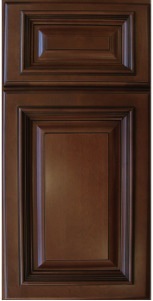 To order Kitchen Cabinet Discounts' RTA cabinets or to order samples of our discount cabinets, contact 412-655-7377. RTA Cabinets Specs and Prices (copy)RTA cabinets specs and prices. Maple, oak, and bamboo cabinets, kitchen cabinets, RTA vanities, designer vanities, and high quality cabinets at cheap, wholesale prices.